I am thrilled to launch my new website! Thank you Penny Warne! 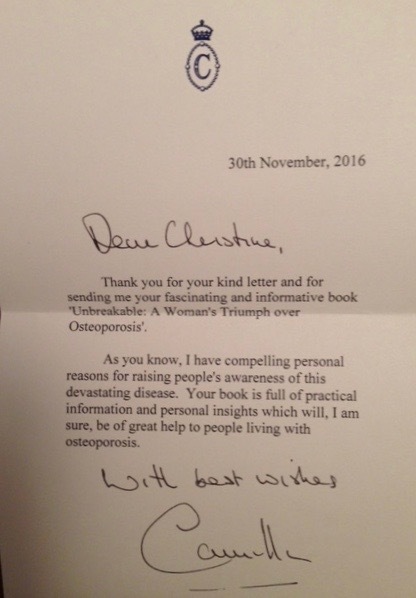 Also, I am over the moon excited to post this lovely note I received from her Royal Highness, the Duchess of Cornwall and President of the National Osteoporosis Society in the U.K., Camilla Parker Bowles! 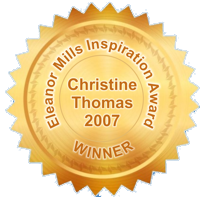 Join me & learn to live well with osteoporosis. 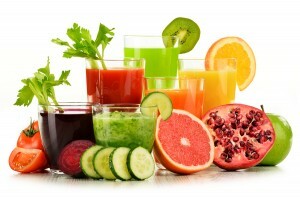 I am sharing some wonderful information in my online seminar to help you build better bones! Are you at risk for breaking a bone? There are several risk factors that raise your chances for developing osteoporosis and breaking a bone –some can be changed and some cannot. And although some are uncontrollable, it helps to know what they are so you can take steps to bump up your bone mass! Why Should I Bother Getting a BMD Test? Fractures, that’s why! 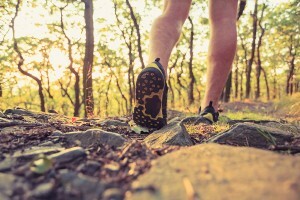 You want to get as much info on your bone health as you can to prevent broken bones. 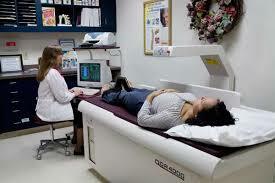 The Bone Mineral Density is really the only test that can diagnose Osteoporosis. The lower your bone density, the weaker your bones and the greater your risk of breaking a bone. 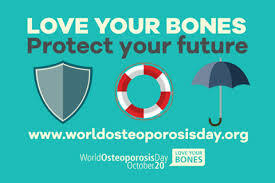 Knowing the strength of your bones can help your doctor recommend prevention steps and osteoporosis medication if needed, to prevent bone loss and broken bones. What the Heck is a BMD test? 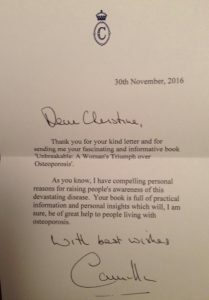 Men… Don’t Think Osteoporosis Can Affect You? Think again! 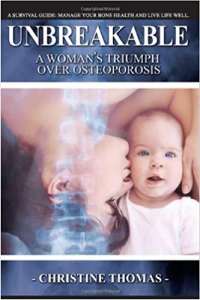 Osteoporosis is not just a woman’s disease. 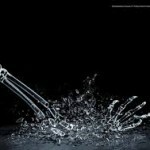 One in five men over age 50 will break a bone due to osteoporosis and 1/3 of all hip fractures worldwide occur in men. Welcome Fall. No Thank You! Let me explain. I embrace the Fall season but not the act of falling and its possible consequences! 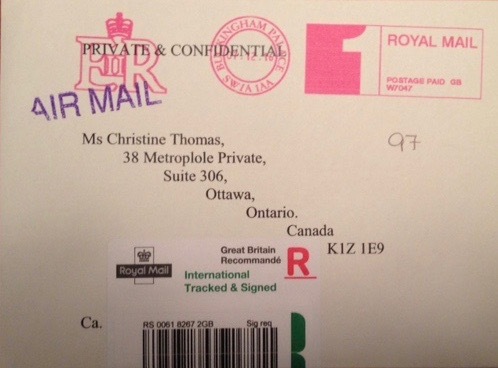 More than 250,000 Canadians report fall-related injuries yearly. And most fractures occur from a fall. A simple fall can cause a serious fracture of the wrist, spine, ankle or hip. If you avoid the fall, you reduce your risk of breaking a bone. One way to prevent tumbles is to improve your balance. Your bones and body benefit from better balance!